Being able to transcribe a song or guitar solo is a great skill that anyone can learn. One of the things that is really helpful developing and applying this skill, is to have some good solid tools that make this process as effortless as possible. Back when I was 15 I had a cassette recorder with a slow down function, so I could figure out the notes of a guitar solo. The only problem was the slow down function also lowered the pitch when you’d slow down the song. The tools we have today are something I could only have dreamed of back then. I’m not complaining, because I learned a lot from those limitations, but I also enjoy the benefits of the technology today. And oh, what makes it transcribing fun and easy! Working out a song by ear is an important skill that is often overlooked. It takes your guitar playing to a higher level and gives you a deeper understanding and insight in many aspects of guitar playing. So, try to develop the skill of transcribing and use the appropriate tools to improve your skill and take it to the next step. I created a list with the best tools that make the process of transcribing and learning a song or solo going as smooth as possible. These tools will help both guitar players who can already transcribe and guitar players who can you use some extra help. For those who (are learning to) transcribe songs by ear and eyes the YouTube speed selector is a pretty convenient tool. It’s easy to miss because it’s somewhat hidden in the “settings”. Click the Settings icon in the lower right corner of the window, then click “speed”. You can choose 0.5 for half-speed or even 0.25 for quarter-speed playback. This is really great for learning guitar solos that are too fast for the eyes and ears. I just finished transcribing the solo of “Get the funk out” by Extreme. 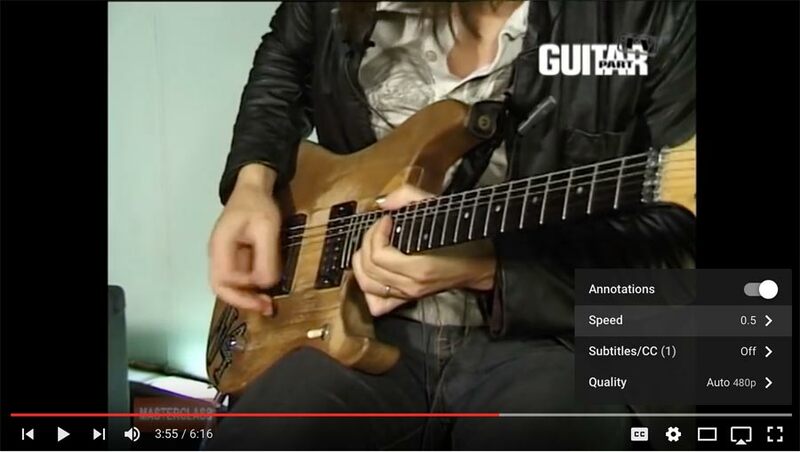 And what better way than learning it from the master himself, so I checked a lesson video from Nuno Bettencourt where he attempts to explain the solo slowly. He is not so good at playing slowly :) For me, the Youtube slowdown setting was a great help to figure out the tapping part successfully. Transcribe is a piece of software that helps you work out a piece of music from a recording. It doesn’t do the transcribing for you, but it is developed and optimized for transcription purposes. It has many transcription-specific features that you can’t find on normal music players. It is used by many professional transcribers. Here’s a Quick Start Guide for Transcribe by Jennifer Batten (who played in all three of Michael Jackson’s world tours from 1987 to 1997). If you want to keep things simple VLC Media player is a free software tool for playing any kind of audio format. It has a slow-down tool, a great advanced EQ and even a loop function. It’s for both Windows and Mac. Anytune helps you learn, transcribe or practice songs by slowing down the tempo, adjusting the pitch, repeating loops, setting navigation marks, sharing timed comments and much more. Only for Mac and iOS. The tablature you find on internet can be a great help, but there are still a lot of flat-out-wrong tablature transcriptions out there. If you want better quality and precision then get yourself a tablature book with some nice solos. If you don’t want the entire book, but just one song, Musicnotes allows you to buy a single copy of your favorite song on high quality tablature. You can view online how it looks. You can learn to transcribe by ear using one of the slow down tools and have the book or musicsheet as your backup support whenever you need it. Here are two posts that will help you develop and train your aural skills to transcribe solos and songs by ear. 8 ways to develop your aural skills and 12 Ways How to Transcribe What You Hear. Guitar Pro is a great piece of software along with their Mysongbook project to learn songs and solos, read tabs and sheet music, create your own tabs (I use it myself to create tabs for Guitarhabits), mix your sounds and share your music. A beautiful combination. TuneTranscriber is a free online tool where you can upload your mp3 or paste the link of a YouTube video and then slow down the music. Using mp3 you can slow down the tempo anyway you like. YouTube can only slow down 50 percent. You can also add markers, add a loop really easy and save your work. Love it! If your using Mac or iOS then Capo and Neptune are very cool tools for learning all your favorite songs and solos. You import the song and it automatically detects the chords in your music. You can switch easily between different instruments like bass guitar, mandoline, ukelele and banjo. Capo is used by pros like Vernon Reid from Living Colour and Hanan Rubinstein (Guitarist for Alicia Keys, Pharrell, Rita Ora, Carole King and Ellie Goulding.) Here’s how it works. It is great to learn and copy a guitar solo from tablature and online lessons, but eventually you want to know what you’re playing and how a solo comes into being, so that eventually you will be able to transcribe a solo by ear. Most Blues, (Classic)Rock, Pop and heavy metal solos are based of the pentatonic/blues scale. 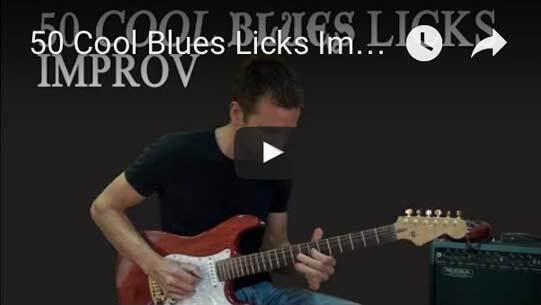 The The 50 Cool Blues Licks Improvisation course will help you develop a thorough understanding of how to play the pentatonic/blues scale all over the neck and how to use it for soloing and improvisation, which will make the process of transcribing guitar solos a lot easier. Do you know a great music transcribe tool? And what song or solo are you going to transcribe today? Please share in the comments. Love to hear from you! Thank you very much for that. I knew some, but not all, of the tools you’ve listed. I’ve been figuring out chords and melodies by ear for 60 years and I’m still not really good at it, so a few tools are great. Thanks. Sure, a little help to work out a song is nice to make the process go smoother. It’s great though that you keep trying. Guitar playing is all about continuously learning and improving. Hello.. Thanks for the lessons :) and i am buying my first electric guitar, i am struck between choosing ibanez 250 and fender squier deluxe strat, would you please help me with that. And also is it good to start with yiur blues licks and lesson? If you are all about rock, shredding and metal I would recommend the Ibanez. If you want to be more an allround guitar player, blues, rock, country, pop, etc then I would go for the fender squier deluxe strat. It depends on your musical taste. Both are nice guitars. I also have ibanez and squier guitars. If better quality and an allround good tone is a priority I’d go for the Squiere deluxe strat. but again if your going to focus mainly on shredding and metal, I’d go for Ibanez. The 50CoolBluesLicksImprov course is an intermediate course. If you’re a beginner I would wait a while. I really like Chordify! It is a website you post a link to a YouTube video (or any other videosite) and it will try to transcribe the song. It is fast and pretty good. Not perfect but a good starting point. Indeed for simple songs it works really nice. Moreover it’s free. For more complex songs I’d go for something like “Capo”. Hi :) do you take skype lessons? What is it that you want to learn? How can I help? At what stage of guitar playing are you? Beginner, intermediate, advanced? And do you want to learn something specific? Hi :) thank you so much, i am playing acoustic over a year now, but i was just playing chords for songs, never played solos ,learnt to play scale positions from your lessons, i am interested in learning classical finger style and blues! 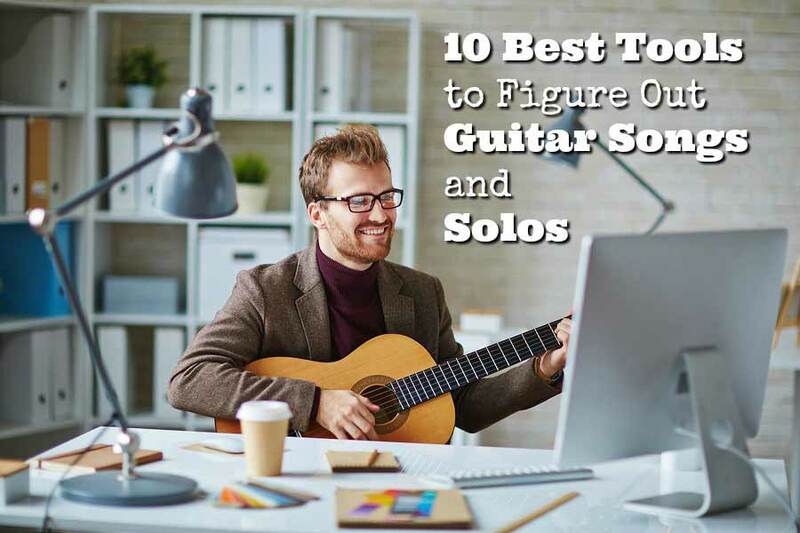 If you’ve never played solo before you might want to try some of these solos. Pick one solo or riff and I’ll make a video lesson for you. Transcribing and practicing a solo with Riffstation. Just downloaded the 30 day trial. Absolutely awesome if you want to filter the music and really hear to solo shine through or the other way around. Digging it!